In the early 1900’s, athletic skills of the indigenous tribes of Africa were seen by French naval officer Georges Hebért. He was amazed by how they were able to move so naturally throughout natures environment. Over the years Hebért developed the fitness regime, known as “The Natural Movement” In the mid 1940’s, Raymond Belle started to study this method and then passed it on to his son David Belle. Thus started the development of what we know as Parkour today. Basic movements like running, climbing, and jumping were the core of the sport. Boundaries were being pushed, but people's knowledge was incredulously low. Across the next several years the term parkour continued to represent highly efficient movement designed to get you from point A to point B. 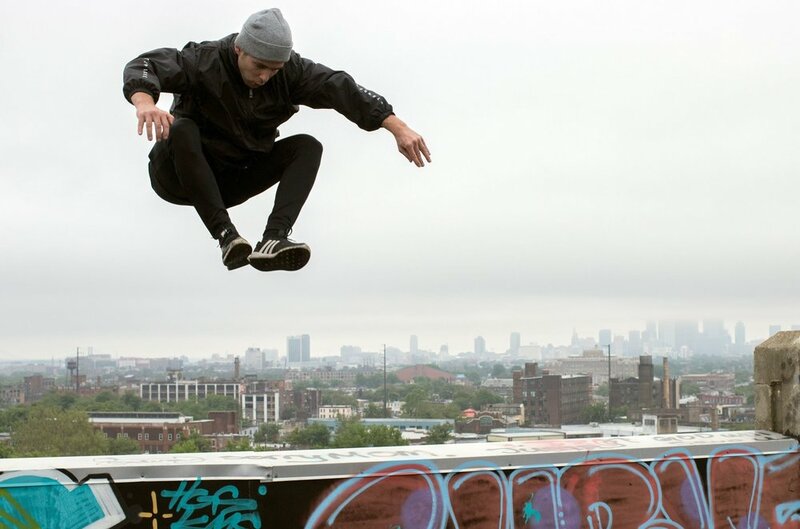 The term “Parkour Purist” arose to represent a group of people who believed flips held no value, that they served no purpose within parkour, and that they were useless in the journey of becoming the ultimate effective athlete. Here’s why the ideas and thoughts of said ‘Parkour Purists’ make you less functional as a traceur. Being able to control flips dramatically increases your air awareness. Air awareness, also known as proprioception, is your ability to determine where you are in space while having little to no contact with any objects, and your ability to specifically determine where objects are. Being able to determine where objects are, and where you are in relation to those objects is essential in falling safely. The most efficient way to develop air awareness, is to be off the ground, flipping, jumping, vaulting etc. Being upside down and intentionally moving through all the rotational axes is also beneficial..
Ukemi, which is essential to air awareness, is the discipline of falling. We’ve mentioned it in several of our articles, and our core curriculum for our summer camp revolves around this often overlooked discipline. Ukemi is the single most important discipline for a well-rounded athlete. If you understand how to fail, then even when nothing goes according to plan you can still get back up and try it again. If you don’t know how to properly bail out of a movement, and it goes wrong, you end up in an incredibly dangerous position, and, to be perfectly clear, you may not make it out uninjured. Air-awareness is needed for an abundance of parkour movements. For example, a lache to precision, in order to land that precision you need to be hyper focused of where your body, particularly your feet are from the moment you throw that bar behind you to the moment you stick the landing. If you don’t have air awareness you may very well fly through the air like a chucked cat the second you release that bar because your brain has no idea what is going on. Learning and practicing flips gives you that air awareness that you require to accomplish laches, large kongs, dive rolls and many more moves safely and efficiently. Not only are flips essential for becoming comfortable and gaining perspective while in the air, they are also a powerful tool when implemented in creative and efficient manners, as long as you can train them safely.